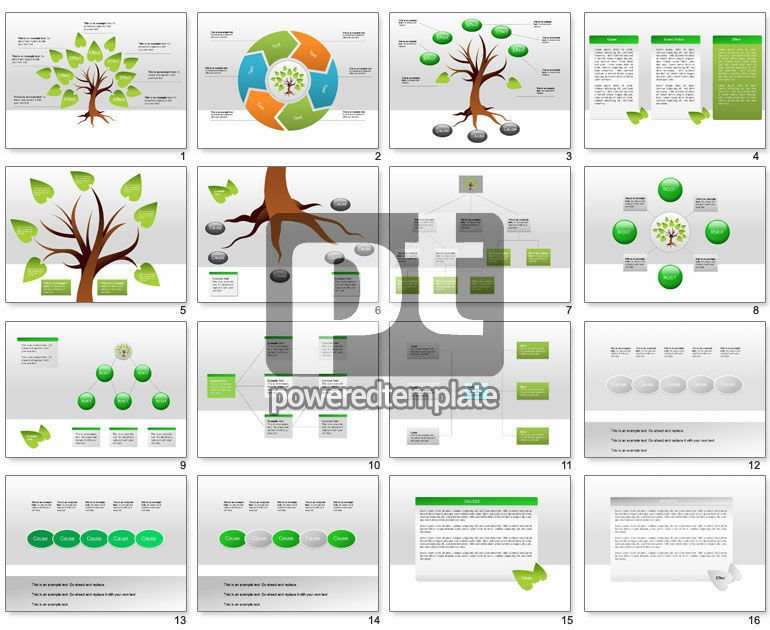 These presentation slides 24521 are complete compatible with Google Slides. Simple download PPTX and open the template in Google Slides. Great tree and organizational charts for stunning illustration of causes, effects and their correlations.